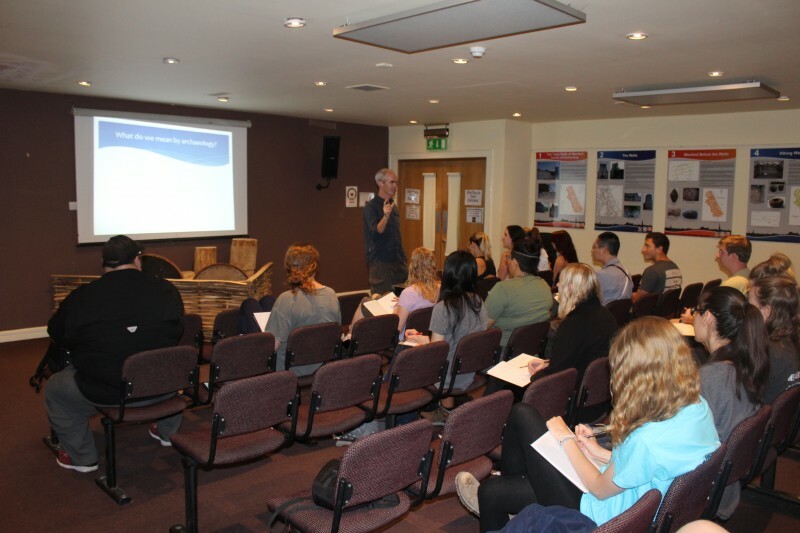 This week marks the halfway point of my internship, and it was orientation week for the new group of IFR students. We reached record-breaking temperatures this week. I am glad for the beautiful weather but I only wish I had more water to drink! 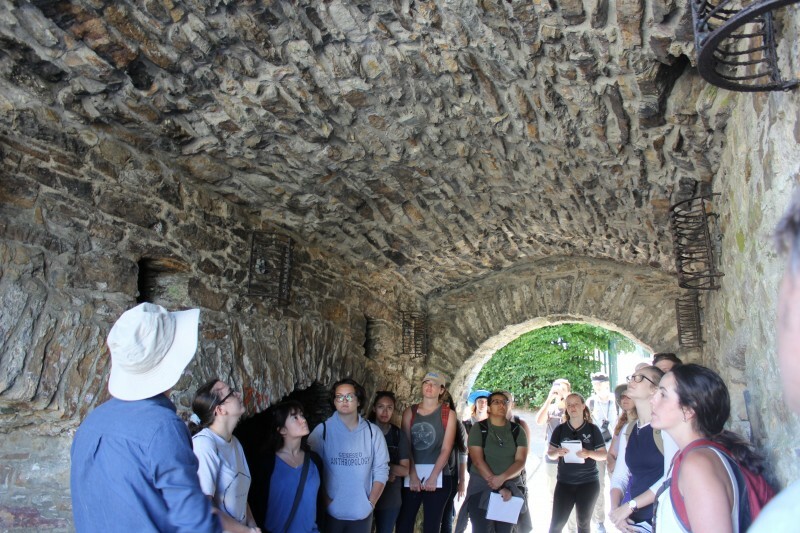 On Tuesday, we listened to a lecture and took a historical tour of Wexford town, both led by Emmett Stafford, a local archaeologist. The tour of the town was beautiful, and we were able to see what remained of the original wall of medieval Wexford. He also took us to St. Patrick’s Church, Selskar Abbey, and St. John’s Graveyard. In the graveyard, he asked us to locate the remains of a medieval church, and we found a coffin, which was standing upright. It was made of stone and had three holes in the bottom, which according to Emmett, were used as a drainage system for after the bodies decayed and returned to the earth. After the tour of Wexford town, we went to Rathmacknee Castle for a tour. Emmett also taught us about the process of repairing medieval walls. One must wait until winter to scan the wall to see it clearly without all the vines and shrubbery. The next step is to remove the plants without damaging the wall. This must be done carefully because if the mortar loosens, the wall becomes weakened. 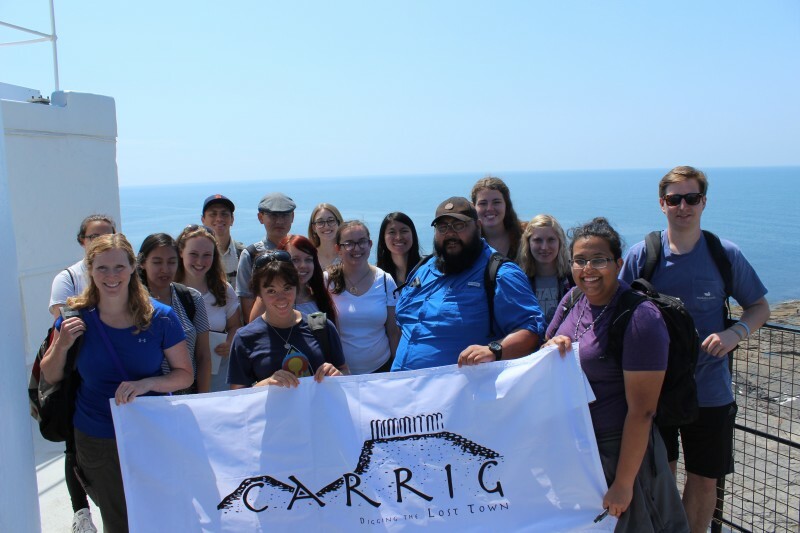 The next day as the students headed off to Hook Lighthouse with intern Aisling, the rest of the interns and staff stayed on site and began weeding the ferns that were growing back within the cuttings. We also did our best to weed around the tree stumps, as we cannot remove them, at risk of damaging the walls and structures within the cuttings and removing any potential evidence. For the remainder of the week, I assisted Ryan, who continued his LiDAR scanning, both on site and across the road, in the hopes of scanning the “Lost Town of Carrick”. 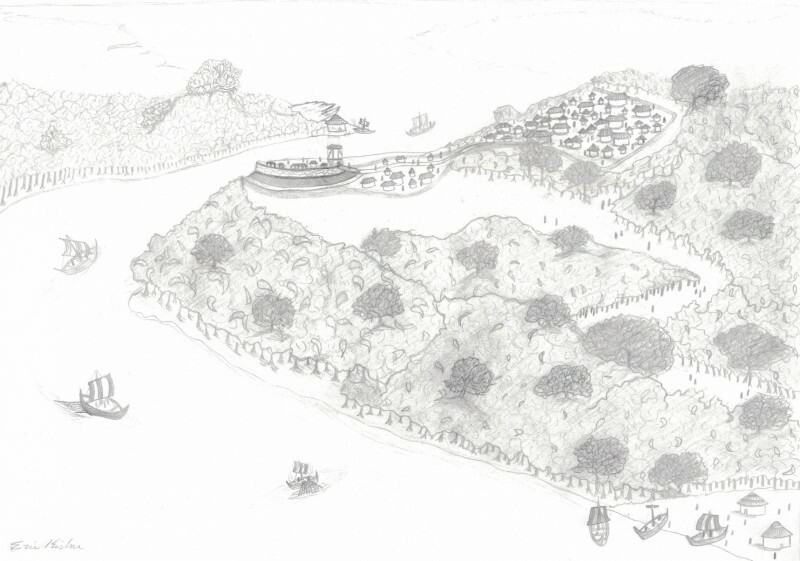 I sketched an image of the site from across the bridge, as well as an image of what we believe the town looked like. Next week I will be digitizing the plans of Cuttings 1 and 2 - I can’t wait to get started!